Here’s a round-up of some of the best museums, exhibitions and attractions to visit with your group. The site in Staffordshire offers reflection for visitors all-year round. 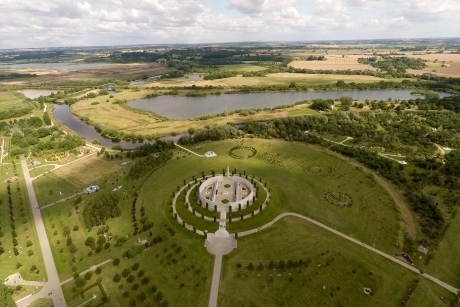 There are 300 permanent memorials, a programme of daily activities and other temporary exhibitions, set within a 150-acre site dedicated to remembering those who have served, and continue to serve, our country. Located in Portsmouth, and run by volunteers, the site features display artefacts, exhibits and memorabilia from World War One. Featuring a memorial centre, and a walk-through trench system, the site also hosts temporary exhibits covering aspects of the Great War. Unveiled in Ascot, Berkshire on 8th June 2018, Poppy the War Horse is the first memorial dedicated to the millions of horses, mules and donkeys lost during the Great War. Visit the large bronze horse as a way of paying tribute to the courage and contribution that the animals played in the freedom we experience today. 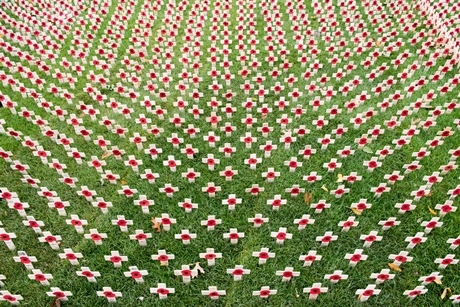 Image: Field of Remembrance at the National Memorial Arboretum. Throughout the year, both the IWM museum in London and Manchester can be visited to explore immersive exhibits telling the moving stories of over a century of war. Elsewhere in the museums, exhibitions will walk visitors through a timeline of history from the First World War to the present day. Located within the Portsmouth Historic Dockyard, the National Museum of the Royal Navy’s major gallery, Hear My Story, tells the tales of the ordinary men and women that shaped the history of the Navy in the past 100 years. Also located within the Dockyard is the HMS M33, one of the few British warships from the Great War that is still in existence, and is open to the public to visit. Exhibitions at the museum in Colindale, North West London, feature personal artefacts such as log books, hidden maps, survival rations and mascots tell the inspiring stories of the servicemen and women can be explored, alongside aircraft, vehicles and boats used by the RAF. The museum’s exhibition, 1914: When the World Changed Forever, was opened in 2014 to mark the chain of events that led to the outbreak of the world, but has since become a long-term exhibition. Within the display are five flags flown in York to mark the end of the war, that were rediscovered 100 years after the end of the conflict, among other artefacts, costume and social history collections.